San Diego’s East County is Music to Our Ears! Bet you didn’t know that three of the world’s most renowned musical instrument companies are headquartered in San Diego’s picturesque East County – in the cities of El Cajon and Spring Valley and small town of Mount Laguna. Our first stop is Taylor Guitar Company in El Cajon, a world-famous designer of top-line acoustic and electric guitars celebrating its 40th anniversary this year. Taylor Guitars are played by some of the top musicians in rock and country music, including Neil Young and San Diego’s very own Jason Mraz. Visitors can take a free guided tour of the Taylor factory Monday through Friday at 1:00 PM. 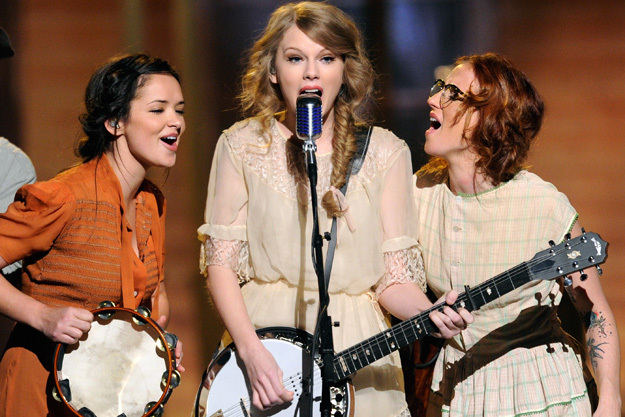 Did you know: Taylor made 130,000 guitars in 2013! Nearby Spring Valley is home to Deering – The Great American Banjo Company, played by contemporary musicians like Taylor Swift, Keith Urban, Mumford & Sons and even Steve Martin (who’s collaborating with Edie Brickell BTW on the world-premiere musical “Bright Star” at The Old Globe theater in Balboa Park). Deering is the largest banjo manufacturer in the U.S., producing 10,000 of the sweet twanged musical instruments last year. Visitors can take a free Deering factory tour Tuesday through Friday at 1:00 PM. Call/email in advance to schedule a tour date: 1.800.845.7791, carolinabridges@deeringbanjos.com. 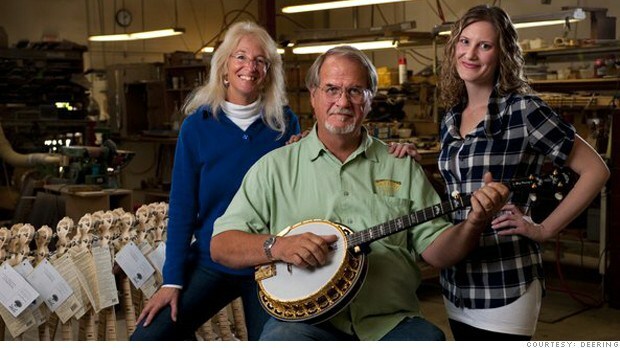 Did you know: Deering produces more than 80 banjo models, including their basic Goodtime banjo that sells for $499. Tucked away, high atop East County’s Mount Laguna – popular for hiking, camping and frolicking in the snow during the winter – is a world-renowned music marvel most San Diegans don’t know about: Robinson’s Harp Shop. Since 1967 this harp string manufacturer, housed in a cabin near the town’s general store, has been sending custom-made strings to loyal customers around the world. There aren’t any visitor tours, as it’s a low-profile, five-person operation that makes the most of its time to produce 150,000 handmade harp strings per year. 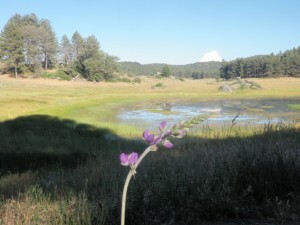 But Laguna is lovely to visit any time of year…Check out my camping blog, featuring Laguna’s pristine alpine wilderness. Did you know: Robinson’s is one of only four such harp shops in the U.S., and three of those are related to each other! See you in East County where wonders like these never cease! San Diego is a paradise of parks. The Trust for Public Land named San Diego one of the 10 best U.S. cities based on access to and size of our parks, which comprises close to a quarter of the city’s total area. But ratings aside, the best facet of San Diego’s many parks is the diversity. From water to grass, from culture to desert, San Diego has it all. 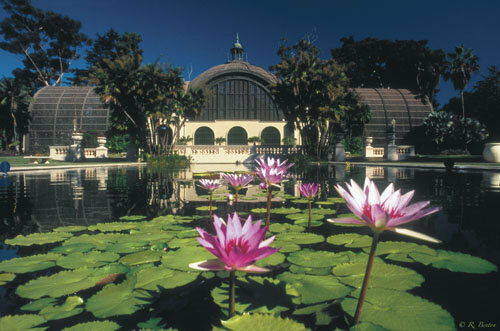 Balboa Park is the nation’s largest cultural park. Known as the Smithsonian of the West, Balboa Park is the largest urban cultural park in the United States and a must-stop on any San Diego vacation. Housing 14 museums including the San Diego Natural History Museum, Reuben H. Fleet Science Center and the San Diego Air & Space Museum as well as the Old Globe theater, Balboa Park is the cultural heart of San Diego. The park is also home to the San Diego Zoo, Spanish Village Art Center and wonderful gardens including the Japanese Friendship Garden and the Botanical Building and Lily Pond. The park – which celebrates its centennial in 2015 – features a host of seasonal events and celebrations where you can mix and mingle with the locals. 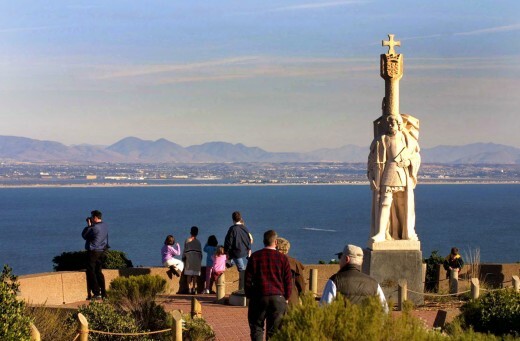 The only National Park in San Diego, the Cabrillo National Monument celebrates the arrival of Juan Rodriguez Cabrillo, who landed at San Diego Bay on September 28, 1542 and was the first European explorer to set foot on the west coast of the United States. At the highest point of the park stands the Old Point Loma Lighthouse, a San Diego icon since 1854, where visitors can enjoy spectacular views of San Diego Bay and skyline. The park features a visitor center and just below the park at the shoreline, some of the best tide pools in San Diego. Mission Bay Aquatic Park is the largest park of its kind in the world. 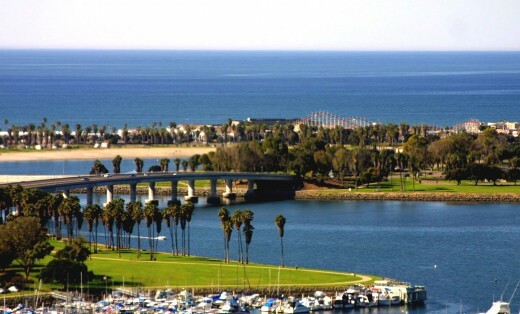 The largest park of its kind in the world, the Mission Bay Aquatic Park is a 4,600 acre aquatic playground. Around the bay, 27 miles of shoreline is lined with grass playgrounds, picnic areas and fire pits, bike paths, boat launches and resorts. Bikes, boat and equipment rentals are readily available including sailing, waterskiing, wave runners and paddle boards. Mission Bay is one of the main hubs for San Diego sport fishing offering day and overnight trips as well as whale watching excursions. It is also home to SeaWorld San Diego and a host of great events including the annual Crew Classic. 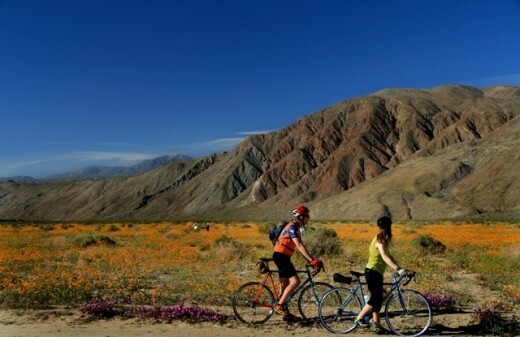 Anza Borrego State Park gets colorful every spring thanks to wildflowers. Five hundred miles of dirt roads and 12 wilderness areas compose Anza Borrego, the largest state park in California. The park offers miles of hiking trails, including a leg of the Pacific Crest Trail, and camping can also be enjoyed with a quick stop by the visitor center. Yearly temperatures can range from near freezing to as high as 108 degrees Fahrenheit, and you might spy wildlife including roadrunners, kit foxes, mule deer, bighorn sheep, iguanas, rattlesnakes, hawks and golden eagles. 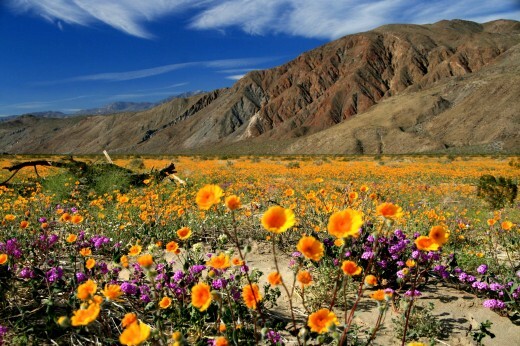 Each spring, the park transforms in a blaze of color when the desert wildflowers bloom. There are also a number of outstanding Native American cultural preserves including archaeological sites, pictographs and rock formations. 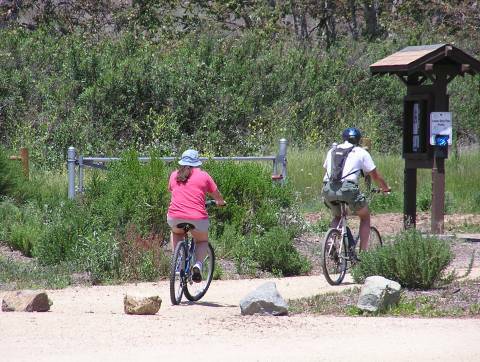 Mission Trails Regional Park comprises nearly 5,800 acres and offers over 40 miles of trails, including the popular Cowles Mountain, whose summit is the highest in the city of San Diego. Beyond hiking, activities in the park include camping, mountain biking, boating and horseback riding. Mostly covered in chaparral, oak woodlands and sage scrub, it’s hard to imagine that you can get this deep into nature just an hour from downtown. The park features a great visitor and interpretive center offering nature walks and low cost children’s education classes on local wildlife including butterflies, hawks, owls, deer and coyotes. Which of these San Diego parks will you visit next? Let us know in the comments below. A few years ago I decided to try some tent camping in order to get an early start on some shoreline fishing at Lake Jennings, just one of a handful of lakes in San Diego County where camping can be part of the fishing experience. There’s something unique and very worthwhile about camping above the suburbs of San Diego’s East County and looking down at the city lights from a bluff above the campground. Paws up! Make treks to San Diego’s rustic East County for up-close encounters of the wild animal kind. Three one-of-a-kind animal sanctuaries top my must-see list – each sure to become as synonymous with San Diego as our world-famous Zoo and Safari Park. Harris Hawk at Sky Hunters! 1. 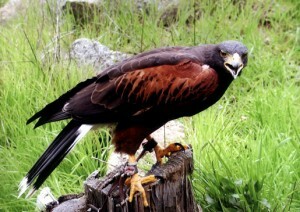 I recently discovered Sky Hunters, a preserve for our fine-feathered friends near Alpine, dedicated to teaching folks about raptors/birds of prey and caring for and rehabilitating sick, injured and orphaned raptors. Owner Nancy Conney (also an instructor at the San Diego Natural History Museum) and her team look after 20 non-releasable raptors, including hawks and owls. They also work with as many as 300 “rehab raptors” each year, including barn owl babies that fall out of their owl boxes and palm trees. 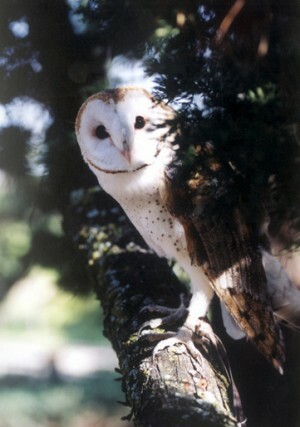 Barn owl at Sky Hunters. Sky Hunters is open to the public for tours on Saturdays and Sundays from 12 noon until 4:00 pm. Reservations are required and can be made by calling 619-445-6565 or emailing skyhunters@juno.com. Visitor safety tip: Stay at least three feet back from the cages. Roaring good times at Lions, Tigers & Bears! 2. 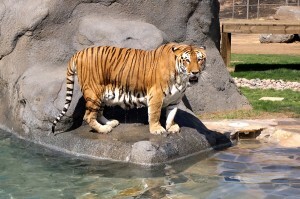 Also located in Alpine is Lions, Tigers & Bears (oh my! Couldn’t resist…), a safe haven for lions, tigers, bears and other abandoned and unwanted exotic animals. BIG news: They’re adding two new black bears named Delilah and Blossom (become a Bear BFF!) to their family of 13 big cats and a black bear named Liberty. Two fall events coming up include a Wild Nights Camp Over with the Cats on September 23-24 and Wine Tasting Dinner under the stars on October 1. You can also spend a safari-themed overnight at their luxe bed & breakfast inn, White Oak Wild Nights. Call 619-659-8078 to make a reservation to visit LTB; visiting hours are twice a week and just about every Saturday. Howling good times at the California Wolf Center! 3. 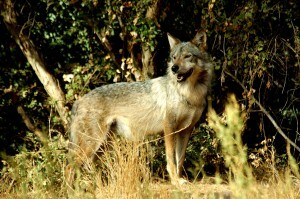 The California Wolf Center, located near Julian, offers visitors a thrilling opportunity to view packs of Alaskan gray wolves and endangered Mexican gray wolves while learning about their history, biology and behavior. They’re magnificent creatures and surprisingly timid and inquisitive. You could spend a couple hours just watching them play and explore their enclosures. Visitor tip: Schedule a visit in the morning when they’re most active. Click here for a public tour; private tours available too. For REALLY up-close encounters inside the wolf enclosures(! ), schedule an exciting Photo Tour. Now that’s something to howl about! 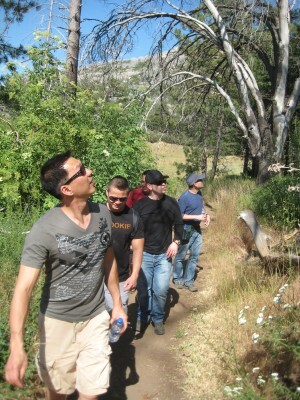 Hiking at Cuyamaca's Paso Picacho campground. Ready to go wild! Pack the tent, sleeping bag and all the s’mores fixins for a camping adventure in East County, San Diego’s massive “backyard” which stretches from the rolling foothills and mountains of Cleveland National Forest to the magnificent Anza-Borrego Desert. I’ve gone camping throughout East County over the years and there’s nothing like the crisp mountain air and relaxing sound of nature to put you in vacation mode. Cuyamaca Rancho State Park, located south of San Diego’s historic mountain town of Julian, offers 110 miles of hiking trails, most open to horseback riders. 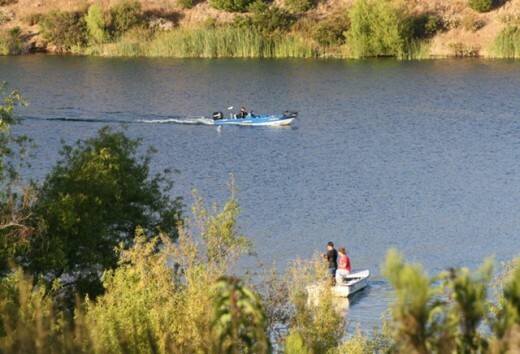 Nearby Lake Cuyamaca offers boating and fishing. The park’s highest viewpoint is Cuyamaca Peak (6,512 feet) with panoramic views of Mexico, mountain ranges and the desert floor below. The park is home to lots of wildlife, including mule deer, coyotes, bobcats, an occasional mountain lion and more than 150 species of birds. Picturesque camping sites abound, nestled among meadows, oak and pine woodlands, creeks and the Sweetwater River headwaters. First on our list to try is Cuyamaca Rancho State Park’s Paso Picacho campground, which has some beautiful pristine meadows and two great mountain hikes, including a 2 mile trek up Stonewall Peak (elevation 5,700 feet), and 3.5 mile trek up Cuyamaca Peak. It might not exactly be “glamping,” but the park’s 12’ x 12’ cabins are pretty nice by camping standards, featuring full-size bunk beds (bring your own bedding), wood stove, picnic table, BBQ and fire ring. Each holds up to 4 people. Green Valley's refreshing Sweetwater River. 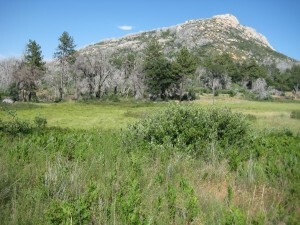 Cuyamaca’s Green Valley campgroundis pretty as a postcard, situated on the Sweetwater River. There’s an easy hiking trail along the river with clear (and chilly!) pools and waterfalls to explore and swim. The perfect way to beat the heat! Also located in the Cleveland National Forest, the pine-studded Laguna Mountains (approx. 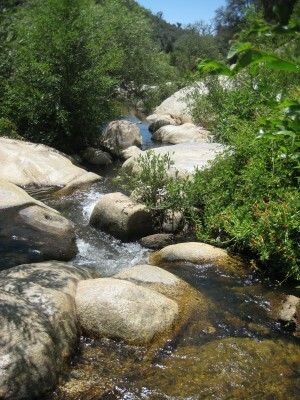 6,000 feet) offer some great hiking, mountain biking and fishing for campers. There are seven major campgrounds. With 104 sites, each with a table and fire ring, Laguna Campground is the second-largest, located near the Sunset and Big Laguna trails which encircle the bucolic Laguna Meadow – a must see! Just over the mountains, Anza-Borrego Desert State Park is a campers’ paradise where you’re sure to spot roadrunners, bighorn sheep (called “borrego” in Spanish), lizards and yes, even snakes (keep your hands and feet out of rock crevices!). 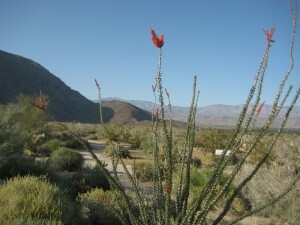 As California’s largest state park it’s difficult to choose just one campground out of the 12, but my pick would be Borrego Palm Canyonwhere – as the name suggests – a lush palm oasis awaits hikers. Note: Be sure to bring plenty of water for desert camping, as temps are 100+! If you want a cozy home away from home, the swanky new Santee Lakes Cabins provide a fun camping getaway for the entire family. There are 10 cabins to choose from; seven on the water’s edge and three that actually float ON the lake. How cool is that! Each cabin is furnished, decked out with full utilities, including AC, TV, and WiFi, and includes a kitchenette, master bedroom, living room, restroom with shower, porch and BBQ. If roughing it is not quite your thing, Santee Lakes is the place for you. See you on the trails! Discover San Diego’s Neighborhoods with our Summer Sweepstakes. Join us every week as we showcase the best in what to do, where to eat, and where to stay in some of San Diego’s unique neighborhoods. Be sure to check back for exciting insider tips, giveaways, and more! This week’s spotlight is on Mission Valley/ Old Town. Located in the San Diego River Valley, Old Town has historic significance as the birthplace of San Diego (and some argue of California), and Mission Valley is a centrally-located business and entertainment corridor with a slew of restaurants and outdoor shopping centers. Here’s a list of the top 10 things to do and see in Mission Valley/ Old Town. Presidio Park – A 50-acre park offer more than two miles of hiking trails in the middle of urban San Diego and views from Mission Valley to the Pacific Ocean. Serra Museum – Located in Presidio Park, the Serra Museum interprets San Diego history during Native American, Spanish and Mexican periods. Old Town San Diego State Historic Park – Features such historic sites as the main plaza, California’s first public school house, and an 1850 Catholic Cemetery. 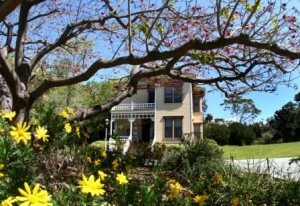 Heritage Park Village – Features seven restored Victorian homes built between 1887 and 1896. Old Town boasts two dining, shopping, and entertainment complexes specializing in authentic Mexican cuisine, one-of-a-kind treasures, and live performances: Fiesta de Reyes and Bazaar del Mundo. Old Town Trolley Tour – Explore the best of San Diego aboard an Old Town Trolley. Experience more than 100 points of interest on this hop-on, hop-off tour equally as enjoyable for locals and tourists alike. Sheriff’s Museum – Captures more than 150 years of San Diego Sheriff’s Department history, providing visitors with a look into early communication, crime scene investigations, search and rescue, and the K-9 unit. 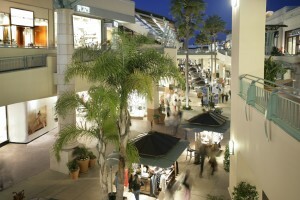 Fashion Valley – An upscale outdoor shopping center with high-end department stores (Neiman Marcus, Nordstrom), specialty retailers (Tiffany & Co., Louis Vuitton), and a variety of eateries (PF Chang’s, The Cheesecake Factory). Play a round of golf at one of Mission Valley’s courses, including: Riverwalk Golf Club (host to the PGA Tour in the 50’s and 60’s), Mission Trails Golf Course (a scenic course adjacent to Cowles Mt. and Lake Murray), and Presidio Hills Golf Course (one of the oldest par 3 courses in the nation). We want you to explore San Diego’s greatest sights aboard the Old Town Trolley. Comment below by Wed. June 22nd at 10:00 am and get entered to win four Old Town Trolley Tour passes. 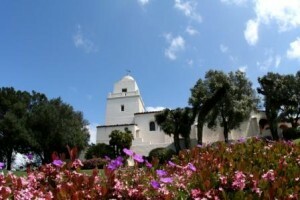 Tell us, where are your favorite places to visit near Mission Valley/ Old Town? We all know about one star that everybody comes to San Diego to enjoy (the sun, folks) but what about the billions of other stars that get virtually no play here in the city where there are too many lights at night to allow us access to the heavens? (I know it’s a burning question.) For me, summer does not officially begin until I can get a good look at that Summer Triangle so, being a resident, I don’t think twice about making the half-hour drive east on Highway 8 — at least as far as Descanso, just east of Viejas Casino — for a proper night sky. But once a month, a clear night sky is within anyone’s view right in the heart of the city. There are two shows on planetarium nights — one at 7:00 P.M. and one at 8:00 P.M. — and they do tend to fill up. If I were you, I would arrive 30 minutes prior to showtime to buy tickets, or buy them online. 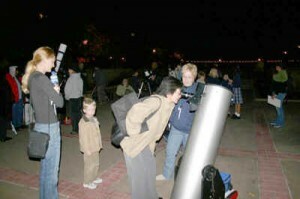 If you do happen to miss out on tickets, don’t worry — the San Diego Astronomy Association sets up a telescope outside on the Prado for free public viewing on planetarium show nights, weather permitting. Want to spend more than a measly 60 minutes exploring the heavens? How about three nights?